It is a nice hotel with fantastic features such as shops,cafe net and conference meetings ,swiming pool is currently under renovation RD12/06 Nice modern colored building with a full glass floor on the top. 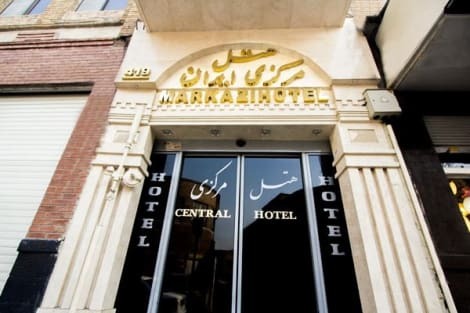 It is one of the oldest hotels in Tehran, centrally located and with excellent access to the main tourist and cultural attractions. It also has nearby leisure areas with shops and restaurants. The hotel offers comfortable rooms equipped with television, refrigerator and internet connection. Among the hotel's general services guests will enjoy parking, laundry, a fantastic restaurant and cafeteria. The Sasan hotel is located at the center of Tehran with the access to main shopping centers and major tourist attractions and landmarks. 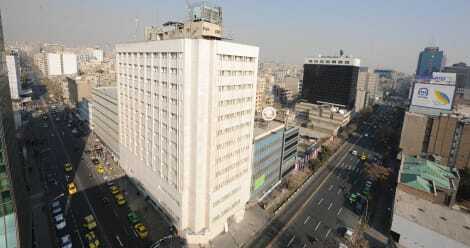 Hotel located in Tehran characterized by being one of the oldest hotels in the city. From the hotel, guests will be able to access the main tourist attractions of the city as they are within walking distance. The rooms are very cozy and have all the necessary services to make your stay a complete success. Among them, we can find air conditioning, private bathroom, WiFi Internet connection, safe and telephone. The hotel reception is available throughout the day. Good hotel with an attractive location within easy reach to the shopping and business areas , hotel offers good comfort for the guests with a small GYM room and various menus to choose from.RD12/06 Tall & large 11 storey modern building with lots of nice lights decor from the front . This boutique hotel is located on the main street of Tehran tourism and leisure. It has 84 rooms, decorated in classic, bright and comfortable style. All have TV, safe, tea and coffee machine and Internet access. In addition, the hotel has a restaurant specializing in Iranian cuisine as well as a specialist coffee bar. 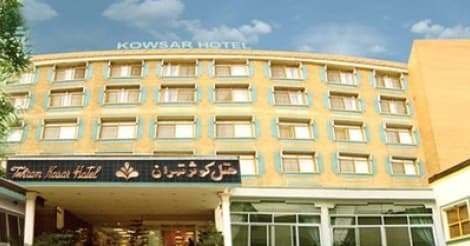 The Ferdowsi hotel, located in central Tehran, offers everything you need for a perfect stay in Tehran. The hotel dipone an indoor pool, a gym and modern room facilities such as Wi-Fi. It also has different types of restaurant serving both traditional and international cuisine. Located on the main street of Tehran, this hotel stands out for the hospitality of its workers. Thanks to its excellent location, you can reach the city center in a few minutes walk and enjoy the leisure and the touristic area. The rooms are divided into different types based on the services that need each customer. They are decorated in classic style and are very comfortable. The hotel offers a located in the highest part of the building, from which you can enjoy stunning views of the city. On the other hand, there is a sports area including a pool. Finally it should be noted that the hotel also offers a number of rooms arranged for holding events, conferences and banquets. Evin hotel is located in North of Tehran with great weather and easy access to main highways. Evin hotel is minutes away from Tehran's international fair, it's 20 minutes to the city center, 15 minutes to Tajrish shopping center and 45 minutes to the International Airport (IKIA). This 4-star property offers access to audiovisual equipment and a meeting/conference room. Event facilities include exhibit space and banquet facilities. Guests can use the outdoor pool at a partner hotel, while two royal suites come equipped with sauna and Jacuzzi. Very nice hotel with a lot of features such as shops and internet cafe,very suitable for families and business travellers and for conference meetings as well.RD12/06 A very nice tall ,modern light colour building with 16 floors hight. lastminute.com has a fantastic range of hotels in Teheran, with everything from cheap hotels to luxurious five star accommodation available. We like to live up to our last minute name so remember you can book any one of our excellent Teheran hotels up until midnight and stay the same night.